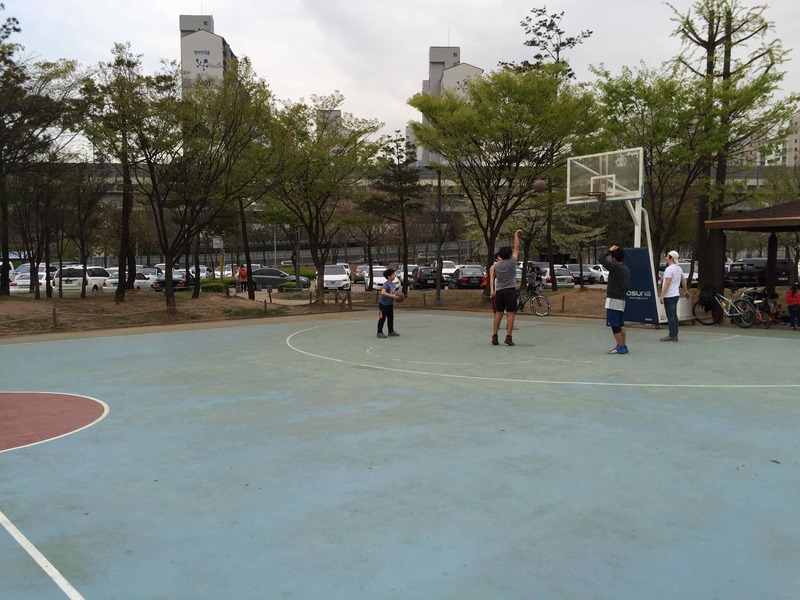 Live in Bucheon? More specifically, do you live in Sangdong? Are you looking for a place to play basketball? If so, you are in luck. You've found your spot. 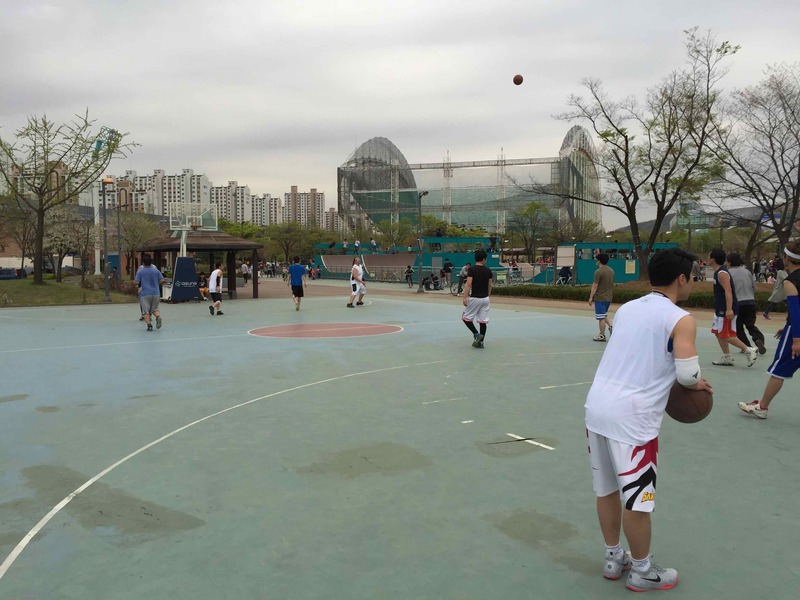 Sangdong Lake Park has a couple of basketball courts that are great spots for finding decent pick-up games. 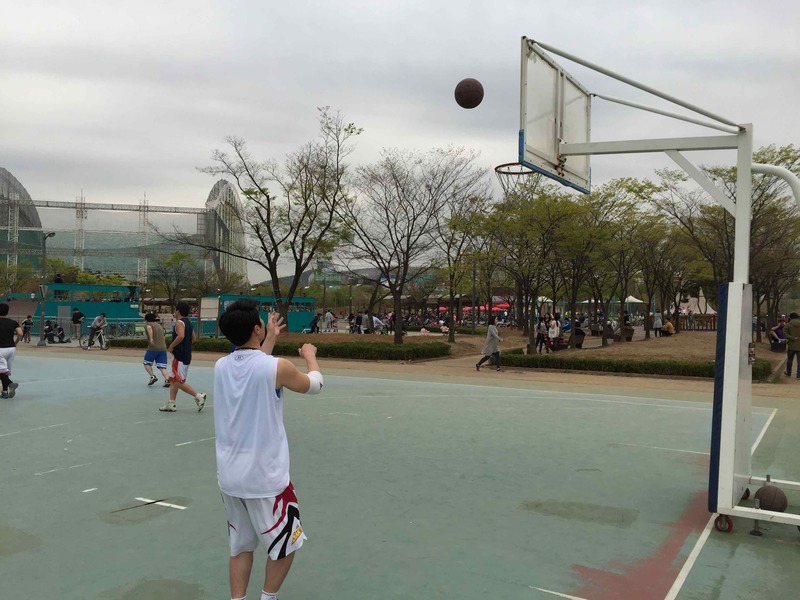 At Sangdong Lake Park, there are two full basketball courts that receive plenty of action, especially on the weekends. The competition isn't that high, but the players are serious enough that you can easily find a good game. For the amount of use that these courts see, they are in okay shape. 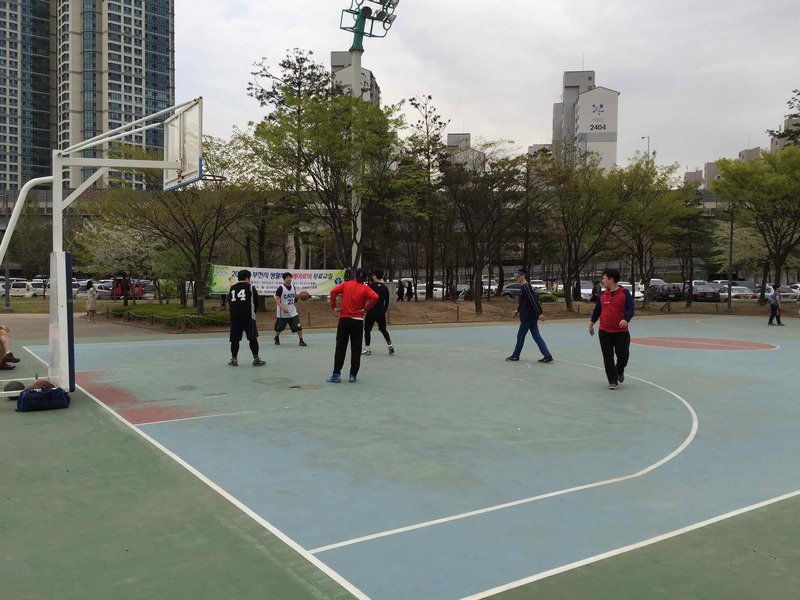 Standard outdoor basketball asphalt. The courts have seen a lot of wear and tear over the years. The paint has faded and there are a few spots in the keys where the footing isn't too reliable. However, overall, it's a good basketball game and gets the job done. The courts are very easy to get to with public transportation. There is a convenience store nearby. It is very easy to get to with your legs. It has decent lighting at night. The surface isn't great. There are a few precarious spots in the keys. Lebron James has never heard of these courts. He is not likely to show up. There is a convenience store located near the courts in the park. There are also a number of bars, cafes, restaurants, etc. just outside of the park. It is a very populated area. 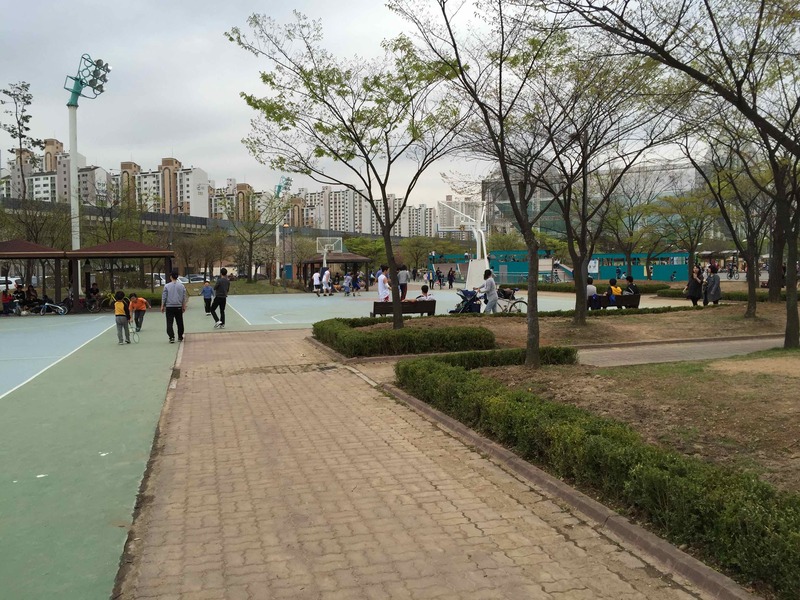 Check out the Sangdong Lake Park photo album to see more pictures of the area. -Use exit 5. You should be able to see a pedestrian overpass nearby. Use that bridge to cross the street. The bridge will put you into the northwest corner of the park. Find the lake (the park isn't that big). The basketball courts are on the eastern side of the lake.